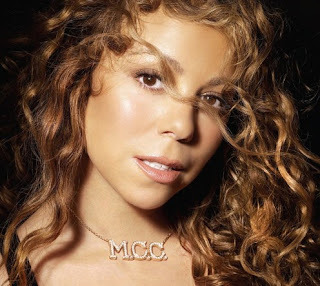 Mariah Carey's supposed 13th studio album and 2nd remix album is confirmed to be cancelled. Angels Advocate, Memoirs of an Imperfect Angel Remix album was set to be released on March 30 with same tracks of Memoirs. It consists of duets with Ne-Yo, Nicki Minaj, Mary J. Blige, Ludacris and more. It was reported that the album was shelved because Mariah's record label are considering of releasing a new album instead. A Christmas album actually. Memoirs of an Imperfect Angel debuted #3, bowing on Barbara Streisand's album. So far, it has sold 400K plus units, a far cry from her 1st week sale of 400K plus of E=MC2. Obsessed, the first single of the album only reached #7 while the other songs hardly picked up. Her latest song to chart was Up Out My Face, which debuted #100 but went missing after the following week. I think she should do a collaboration again with Walter Afanasieff, the man who co-wrote her Butterfly album. Mariah should lessen the sexyness and work more on depth of her songs.